Tracy Fleischer allegedly her husband when he came home from work over 'something' she saw on his Instagram page and then again as she drove him to hospital. Fleischer was arrested and charged with aggravated assault after the stabbing that occurred at their Augusta, Maine. 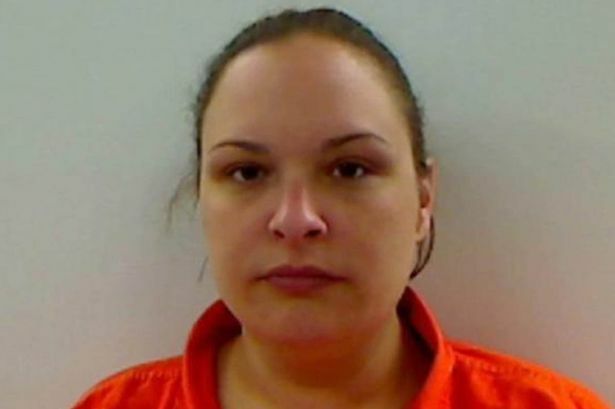 The 34-year-old called for help and admitted to stabbing her husband in the torso before attacking him again in the car and getting rid of the knife en route to the hospital, prosecutors said. Friends of Fleischer are believed to have raised the alarm amid concerns her three children may have witnessed the attack. What did she see on his IG page? Vicious.